She is survived by her children: LeRoy (Margaret) Dissing, Carmen (Michael) Niesen, Marvin (Jackie) Dissing, Kenneth (Linda) Dissing, and Patrica (Michael) Neumann; numerous grandchildren and great grandchildren; sisters: Gladys (Leroy) Poole, Bonnie (Richard) Lindell; many nieces, nephews, great-nieces and great-nephews. She is preceded in death by her parents Otto Marquardsen and Sophie Furhman, and brother Delbert Marquardsen. 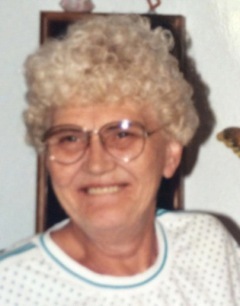 A celebration of the life of Delores will be held July 11, 2015 at the Baltic Lutheran Church in Baltic from 1:00 p.m. to 4:00 p.m.